Chinese Baseball: March Update! 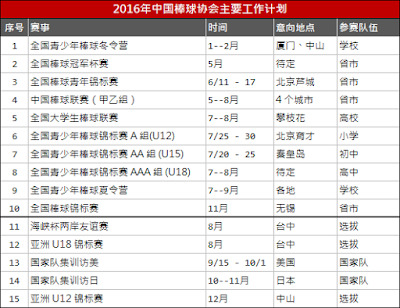 KBO-CBA Agreement, Xu Gui Yuan, 2016 China Baseball! March Update! 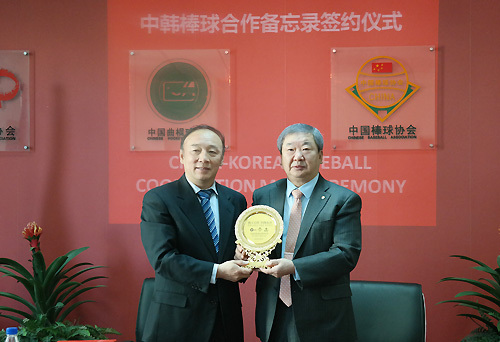 KBO-CBA Agreement, Xu Gui Yuan, 2016 China Baseball! Hello everybody! How ya'll been? Not much going on in China, but there are some news worthy stuff!!! "There's money to be made"
The Korean Baseball Organization has reached a "cooperative agreement" with China Baseball Association. The deal would bring Korean coaches over to China and help with the development while the Chinese help market KBO. Not a bad deal huh? Here's a short translated article about the deal. 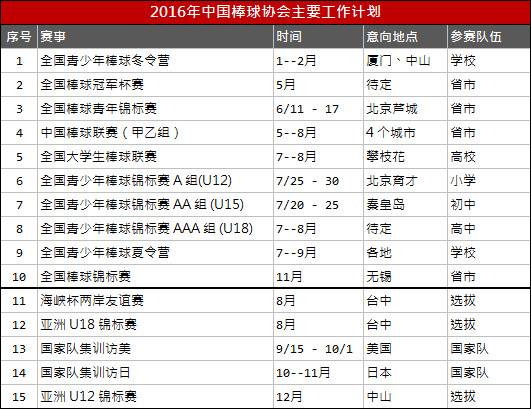 Here's the untranslated list of events and tournaments for 2016. CBL will take place from May to August. For those who want to attend a game, there hasn't been any announcement on the schedule yet. Don't worry, I will update when it does come out! That's it for now. Hope everyone is enjoy the year so far. I can't wait for the MLB season to start because baseball is my life...Have a great night!